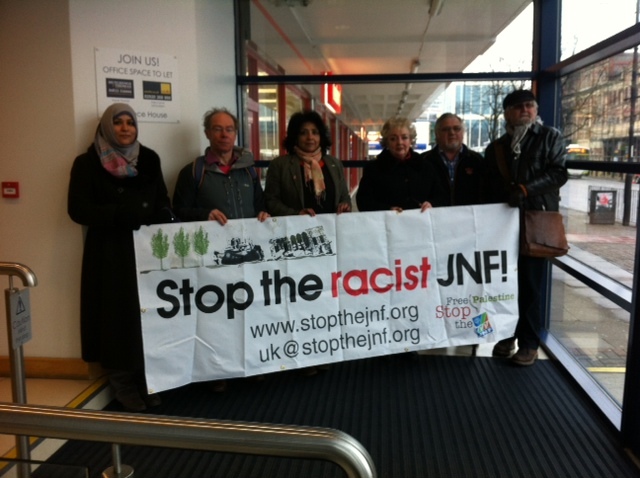 On March 21st the Stop the JNF campaign made an application to the Charity Commission for the removal of Jewish National Fund charities from the UK register of charities. The application gave evidence that the JNF is racist, complicit in ethnic cleansing of Palestinians and, according to one of its own former directors, an obstacle to peace. The Stop the JNF application demonstrated that the purpose of the JNF is contrary to the requirement of public benefit and does not qualify the organisation for charity status. Over 500 people have also written individual complaints to the Charity Commission. The Stop the JNF Campaign argues that the primary purpose of the JNF has always been to remove Palestinians from their land and replace them with Jewish only settlements. 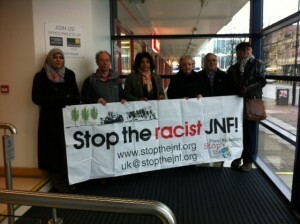 As such, the JNF does not act for public benefit, which is a requirement of all charities in the UK. Furthermore, the JNF promotes racism through Zionist education, and is a ‘para-statal’ organisation, recognised in statute as part of the State of Israel. The JNF is involved in the administration of 93% of land in Israel, directly controlling 13%. The remains of Palestinian villages are still visible under JNF ‘Parks’, examples are the village of Ajjur in the JNF British Park and Imwas village in JNF Canada Park, while Israel denies the right of Palestinian refugees to return to their homes and land. Today, Palestinian Bedouins, who are citizens of the state of Israel, are being ethnically cleansed from the Negev (Naqab) to make way for a JNF forest. In a reply dated May 15, the Charity Commission refused to remove JNF charities from the register of charities. It has however decided to investigate whether the discrimination practised by the JNF is lawful under the Equalities Act 2010. Sofiah Macleod, from Stop the JNF said that “we are glad that the Charity Commission is at last looking at the JNF’s systematic racist discrimination. There is enough evidence to show that JNF UK and JNF Israel are so tied together that they cannot be described as separate organisations. Yet the Charity Commission shows a wilful blindness on this issue. We very much look forward to hearing how the JNF will attempt to explain that its discrimination is for the public benefit. The Stop the JNF Campaign will be seeking to make the necessary legal challenges to force the Charity Commission to do its job, to remove the JNF charities from the register”.